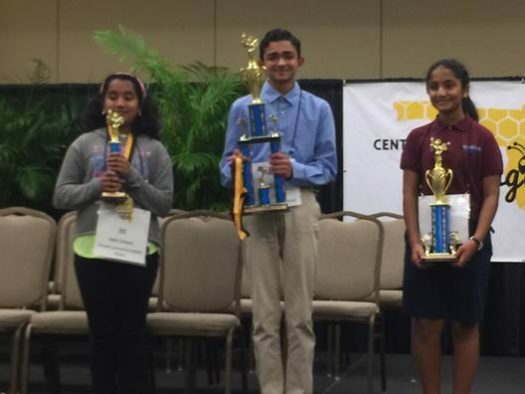 The 2019 Central Florida Spelling Bee took place on Friday, February 8, at the Lake Eva Event Center in Haines City. Fifty students spellers represented 15 counties, and our Neil Dave WON!!!! Next stop: Washington, D. C.! The national bee begins on Monday, May 27, and concludes on Thursday, May 30. Congratulations, Neil! !